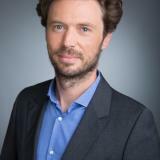 Alexandre de Saint-Léon is Managing Director of Ipsos Loyalty in Asia Pacific, the customer experience practice of the Ipsos Group - the world’s third largest market research company. Ipsos Loyalty is the global leader in customer experience, satisfaction and loyalty research with over 1,000 dedicated professionals located in over 40 countries around the world. For the past 18 years, Alexandre has served in client servicing and general management positions at local, regional and global levels at Ipsos. He has lived and worked in five different countries and coordinated teams and projects in more than 40. Along with his strong research background, Alexandre has built an extensive experience in employee engagement, customer experience and product quality. Check out the incredible speaker line-up to see who will be joining Alexandre .